Every city has them. Annoying tourists who clog up your city during the summer months. Horrible stereotypes that people just ASSUME about your city in general. It was when I lived in Hawaii that I learned to really dislike tourists – then again when I worked at the Space Needle. But tourists are how our cities stay alive! Is a native Seattleite going to buy that $50 statue of the Space Needle? No. Because we see the Space Needle every single day when we’re sitting in traffic on I-5. And we’ve all been that annoying tourist. When I went to Europe, I spent 20 minutes in a Parisian bakery trying to communicate with the employees to find out if the brownies they had displayed had nuts in them. The people I were with broke out their French – English dictionary and we finally realized we should’ve been looking under “peanuts” instead of “nuts”. And when they nodded their heads yes, that the brownies did indeed have peanuts in them, I said “Non, Merci” and left. Am I allergic to peanuts? No. What the hell was my problem? Honestly, I just REALLY hate peanuts in my brownies. I’d be willing to bet the employees cursed me up and down as a stupid American when I left and I really don’t blame them. Below are some of the annoying things tourists do in the city of Seattle, and also some horrible Seattle stereotypes explained. Pike Place Market is the oldest continuously run public market in the United States. Opening in 1907, it became a historic landmark in 1971 years after a proposal was floated to demolish the market. A landmark loved by both locals and tourists, it’s one of my favorite places to visit no matter the time of year. There is definitely more to see and buy during the summer months but regardless of the weather I always enjoy spending time in one of the most “Seattle” places in the city. So you can imagine how crazy it makes me when a tourist calls it “Pikes Place”. 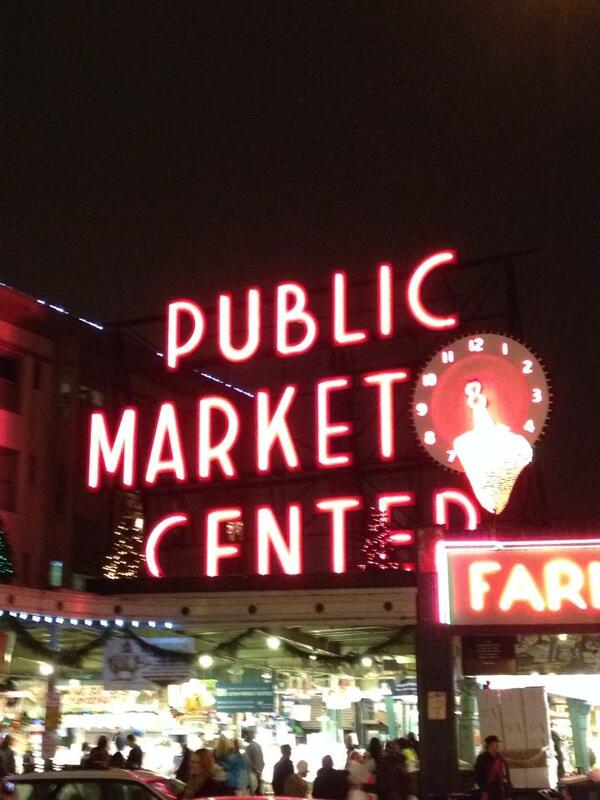 How dare you mispronounce the name of the market where Tom Hanks met his friend for a beer in Sleepless in Seattle?! You want to put a big red flag on yourself that says “I’m a tourist” in Seattle? Call Pike Place, Pikes Place. It never fails. While we’re on the subject of Pike Place – let’s get one thing straight. Pike Place is NOT convenient for anyone unless you either a) work downtown or b) are one of the few people who can afford to actually live downtown. We don’t shop there for all of our fish and produce needs. While it is definitely fun to watch the fish guys throw fish around, we aren’t actually those people who ask for one to go. We usually do our smart shopping at places like Central Market or Fred Meyer. Seattle is known for its rain. 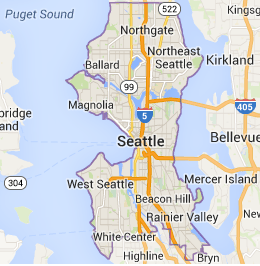 But Seattle is actually listed at number 44 among major U.S. cities average annual rainfall. That’s because the rain here is typically “misty” or “drizzly”. What the rest of the U.S. thinks of when they think rain is something Seattle actually rarely gets. The reason we have this reputation is because collectively we have more days of precipitation than most cities. So that day I rode my bike to school in the pouring down rain was definitely a rarity. The world was out to get me that day. On one of those grey, drizzly days visiting our city, you might find yourself pulling out your umbrella. Well, here’s a quick tip for you – no local actually uses them – and if they do they’re either a transplant or a wuss. Unless it’s a torrential downpour which typically lasts for a minute and a half, no local Seattleite is using one. If you want to stick out like a sore thumb, grab your carry on bumbershoot and hit the streets. Microsoft, Amazon and Boeing are three of the biggest companies we have in Seattle and there’s no doubt that if you live here you most likely know at least one person who works at one of these companies, if not – people who work at all 3! I like to call it the trifecta, because if you are lucky enough to work at one if not all 3 in your lifetime, you’ve got to be making some good money. This coming from an unemployed college student. I was once on a plane coming home from Hawaii and was sitting next to a man who asked me where I was from. When I told him I was from Seattle he said “But where in Seattle?” and I told him Northgate. He then laughed at me like I was some stupid woman and said “Well then you’re from Northgate, not Seattle.” This man even claimed he was from Seattle as well. I’m not entirely sure why this entire conversation pissed me off but it did. Yes, I live in Northgate – a neighborhood of Seattle. My address is Seattle – something Matt made sure to have when he was looking at houses. Even if you lived downtown, you’re still in a neighborhood of Seattle; i.e. Capitol Hill, Queen Anne, Belltown, etc. If he were a true native Seattleite he would’ve known that. This is true. But do you know why? Because we have HILLS. If it snows 2 inches and we are trying to get to our house on Queen Anne – we are gonna slide back down that hill, lose control and probably crash into something going 5 miles an hour. But unlike the Midwest where it snows 15 feet and people still go to work because all their roads are flat – we have a harder time getting around with all these hills. So it’s not that we don’t know how to drive in the snow – we just physically cannot. The city doesn’t help much either. Snow plows? What snow plows? I’m a beer snob. I fully admit it. I have Matt to thank for that. 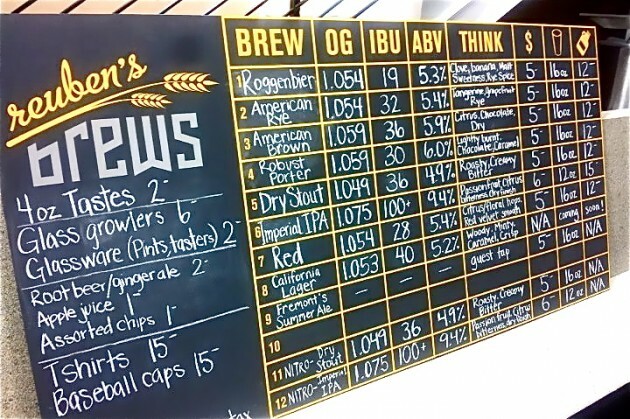 And lucky for us, Washington ranked in at number 5 on Thrillist.com’s Best Beers in America list. So it always comes as a surprise when an out of towner, or even a local who doesn’t know anything about good beer, walks up to the bar and orders a Bud Light. It baffles me. Don’t get me wrong, I can enjoy an occasional macrobrew now and then when there’s nothing else around, but why would you order something that tastes like water when you can grab something that has so much more flavor? I was on a first date with a guy once a few years ago and when the waitress came around he ordered a Bud Light. I should’ve just left because I knew then that there was no future for us. 9 – We Live in Washington State – NOT Washington D.C. I learned the hard way a long time ago that if you don’t mention that you’re from Seattle and simply say “I live in Washington” people automatically assume Washington D.C. I’m not entirely sure why that is, but now I add “State” to the end of it. I think I’m so confused about it because I figure that if someone actually were from Washington D.C. they’d say exactly that. Or just say they’re from D.C. In my mind, Washington State is the more obvious choice, probably because, well, I live here. I really have no defense to this. It’s true. 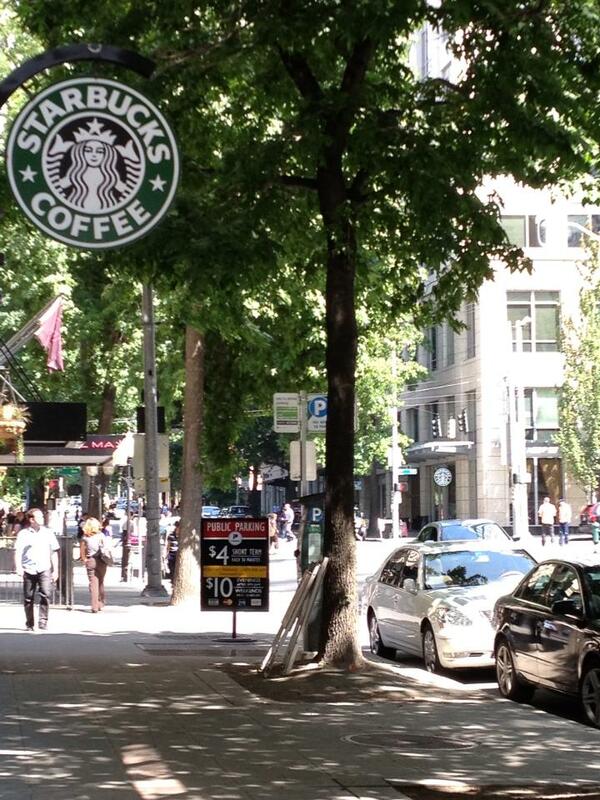 There’s a Starbucks on every corner. And we have to have our coffee the right way. I actually don’t like coffee, which is a shock to most people, but I do love a Chai Tea Latte from Starbucks – and ONLY Starbucks. So in a way, I’m still like every coffee crazy loving Seattleite out there – except with Chai Tea. However, I’m told that there are even better coffee shops around, and a lot of people prefer them over Starbucks. Kind of like our beer, it’s always nice to find a cute, local coffee shop that actually has good coffee. What are some of the annoying things tourists do in your city or annoying stereotypes you’re given? Let me know in the comments!